How to improve the experience lived in store thanks to digital? How to respond to the wishes of a new clientele whose state of mind has "Millennialized"? This is the goal of the agreement between Chanel and Farfetch, the online platform dedicated to fashion. The house on rue Cambon is part of the Farfetch shareholding. Analysis. - Isabelle Cerboneschi. Jose Neves and Bruno Pavlovsky. Houses within the perimeter of what is known as the luxury industry have always been more cautious than others in selling their products online. And Chanel is no exception. Even if the house of the rue Cambon is not foreign to the sale on the Net, it is content to offer its perfumes, cosmetics and glasses. She will have taken her time to take a step further in the digital experience, but it seems that the solution chosen is tailored to its measures. Chanel has just announced the signing of an exclusive agreement with the online platform Farfetch. The purpose of this agreement is not to sell online the eight annual collections created by Chanel: the house wants its clientele to fully experience the discovery, fitting, in its own shops. But it is about bringing a plus to its customers: to allow them to live new experiences. This is exactly what aspires to those grouped under the name of Millennials. According to a Bain study dated December 22 2017, 85% of the increase in sales of luxury goods was generated by the Y and Z generations. But the state of mind Millennial has somehow infused mentalities and changed the buying habits of other generations. This evolution is pushing brands to rethink the sales experience. Also according to Bain, 75% of luxury purchases will continue to be made in stores and online sales of luxury goods will cap 25% by 2025. All the more reason to enhance the POS experience to make a difference. Farfetch, Net-a-Porter, or Mytheresa, without going through the shops? By offering him personalized experiences, moments that could come closer, in the spirit, to a fitting in the haute couture salons, which would make them feel unique and privileged, like finally millions of others with them . We spend almost more time browsing the digital world than the real world and the desire of both companies is to bring together one and the other: combine a digital experience with a boutique experience. We are used to being recognized by such a site, to personalize our choices, to give our preferences, while in the shops, the opposite happens. For Laurent François, founder of ReUp in London, " It is now considered that the experience that consumers have experienced in the store is also part of the digital experience cycle. It is part of the same dimension and the same consumer journey (the customer journey, ed.) It would also be interesting for a brand to consider a boutique no longer as a sacred temple, but as a time of passage and discovery. "A place where we engage in a real dialogue with the customer, rather than to deliver a brand monologue completely outdated. This dialogue, this new experience, is in part what Chanel and Farfetch intend to put in place. "We believe that the future of luxury retail lies in reinventing the customer experience, both online and in-store," said Jose Neves, founder and CEO of Farfetch. We call this vision Augmented Retail. It involves combining the magic of store experience with the benefits of online and digital services. Today, we invest more than anyone in technology and customer knowledge to make this vision a reality. " identify you immediately thanks to your login. You are offered a wish list in the manner of a personal shopper, depending on the clothes you have consulted and the tastes you have expressed on the site. A digital mirror will allow you to order a garment in a particular size or color. It is finally an operating system that connects both the digital platform and the shops by making use of customer data to enable them to experience "augmented" experience at the point of sale. That's the idea. It is still in its infancy and is a first in the world of luxury. 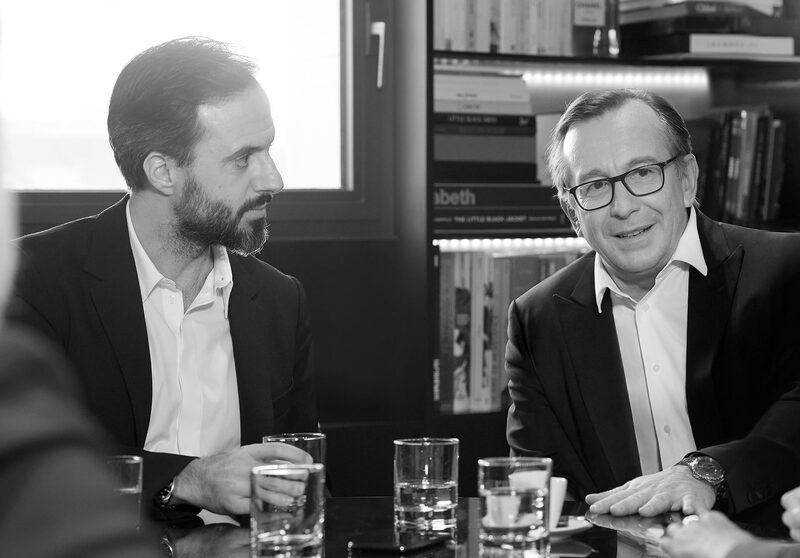 "We are excited about this collaboration with Farfetch and look forward to implementing the early stages of our project together," said Bruno Pavlovsky, President of Chanel's Fashion Activities. We want to re-enchant the customer experience, making it even more authentic and unique, by transmitting even more the values ​​of our brand. If the digital will never replace this moment when we try a creation Chanel in the salon of one of our shops, we consider it as an ally, not an opponent. We are confident that with the help of Farfetch, we will be able to offer an even more unique customer experience, combining innovative technology with the tremendous expertise of our store advisors. " As part of this partnership, Chanel has invested in the online platform, joining its current shareholders. The amount of the participation is not known. Chanel is one of those prestigious houses that have very well understood the power of storytelling and staging. They know how to make the best use of their boutiques to communicate directly with their customers and take them into their world. But how to attract these new consumers who have become accustomed to buying on sales sites in the image of Farfetch, Net-a-Porter, or Mytheresa, without going through the shops? By offering him personalized experiences, moments that could come closer, in the spirit, to a fitting in the haute couture salons, which would make them feel unique and privileged, like finally millions of others with them . What does this augmented reality experience consist of? Jose Neves, had introduced this concept - The store of the future - in London in April 2017. Imagine: you walk through the door of a shop that identify you immediately thanks to your login. You are offered a wish list in the manner of a personal shopper, depending on the clothes you have consulted and the tastes you have expressed on the site. A digital mirror will allow you to order a garment in a particular size or color. It is finally an operating system that connects both the digital platform and the shops by making use of customer data to enable them to experience "augmented" experiences at points of sale. That's the idea. It is still in its infancy and is a first in the world of luxury. © 2019 all-ic. All rights reserved.